2007.05.27 Sun Wii ☆ Nintendo DS Comment Tweet This! Make up your mind, Nintendo. And here we go again. Someone is bragging about their title being exclusive when it's really not. I've already touched this matter some time ago [check it out by clicking here] but the exclusively marked games seem to haunt me wherever I go. I know this title is anything but new, but untill today I haven't really thought about the "Only For" marked GameCube version. First of all, the game got published on two platforms. Sure, the Wii version supports the wiimote, but it's essentially the same game with some cool features. If that wasn't enough, Wii is backwards compatible, which means you can pop your GameCube Zelda into a Wii console and it will work just fine. So what did Nintendo mean exactly? It's "Only For" GameCube but it's also on Wii? They both share the same box art and one gameplay screen printed on the back. How exclusive is that? Or is it safe to say it's only for GameCube just because the games differ slightly and besides both platforms are Nintendos own pieces of hardware? Or do they mark games this way just to make them sell better? You see a title that's exclusive and you want to feel special. You want to be sure that only GameCube owners get this game. But this is not the case with Twilight Princess. Bend over, Nintendo. It's spanking time, you LIARS! 2007.04.05 Thu Wii ☆ Nintendo DS Comment Tweet This! Did you ever hear someone say that games can only brainwash you and that no good comes out of playing them? If you see them again, you can shove a copy of "Dr. Kawashima's Brain Training" up their back orifice and ask them if it felt as good for them, as it did to you. I'd give a $10 to hear the answer. 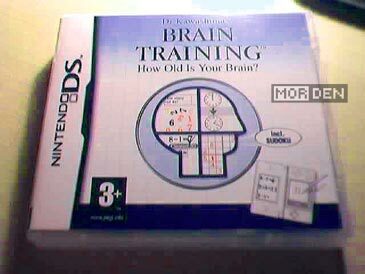 About two weeks ago, I have finally acquired a copy of this brilliant Nintendo DS title and started to train my brains. I must say, this game is quite entertaining for a title with nearly no graphics besides simple menus, almost no music, and math problems in various forms for games. 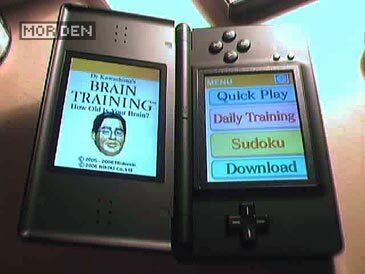 If you own a Nintendo DS, and you don't own "Dr. Kawashima's Brain Training", pick it up today. Or tomorrow at the most. You WILL enjoy it. Sorry for the picture quality, but I just snapped some quick shots with EyeToy. 2007.02.16 Fri Wii ☆ Nintendo DS Comment Tweet This!